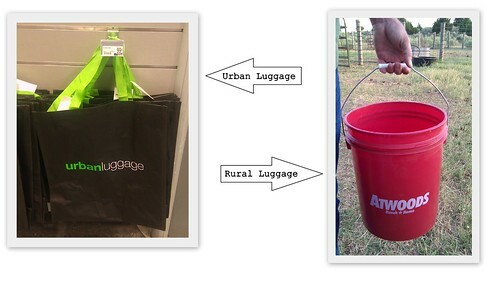 When I saw the bag with "urban luggage," I instantly thought of the rural counterpart: the name brand designer tote for rednecks. I love this. It's so true!